A river reaches places which its source never knows. And Jesus said that, if we have received His fullness, “rivers of living water” will flow out of us, reaching in blessing even “to the end of the earth” (Acts 1:8) regardless of how small the visible effects of our lives may appear to be. We have nothing to do with the outflow— “This is the work of God, that you believe…” (John 6:29). God rarely allows a person to see how great a blessing he is to others. A river is victoriously persistent, overcoming all barriers. For a while it goes steadily on its course, but then comes to an obstacle. And for a while it is blocked, yet it soon makes a pathway around the obstacle. Or a river will drop out of sight for miles, only later to emerge again even broader and greater than ever. Do you see God using the lives of others, but an obstacle has come into your life and you do not seem to be of any use to God? Then keep paying attention to the Source, and God will either take you around the obstacle or remove it. 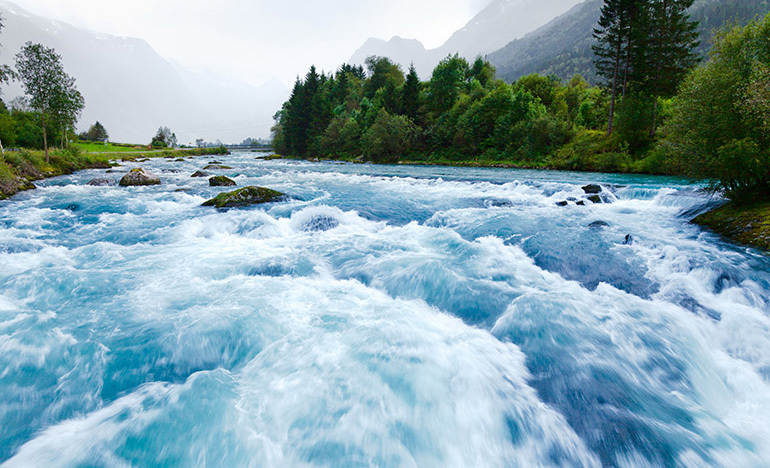 The river of the Spirit of God overcomes all obstacles. Never focus your eyes on the obstacle or the difficulty. The obstacle will be a matter of total indifference to the river that will flow steadily through you if you will simply remember to stay focused on the Source. Never allow anything to come between you and Jesus Christ— not emotion nor experience— nothing must keep you from the one great sovereign Source. Think of the healing and far-reaching rivers developing and nourishing themselves in our souls! God has been opening up wonderful truths to our minds, and every point He has opened up is another indication of the wider power of the river that He will flow through us. If you believe in Jesus, you will find that God has developed and nourished in you mighty, rushing rivers of blessing for others.